Kuching, 18 November 2011 – Mr Harrie Bouwmans the owner of Malaysia Travel Service and Travel Trips of the Netherlands and his Sales and Marketing Director, Mrs Anne Van Spreeuwel were recently in the state to update themselves with the latest offerings. 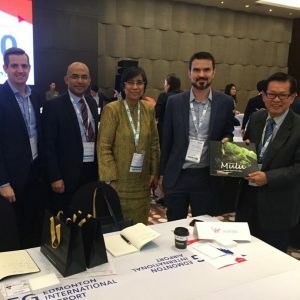 Malaysia Travel Service and Travel Trips, whose head office is in the Netherlands has also opened a branch office in Kuala Lumpur. 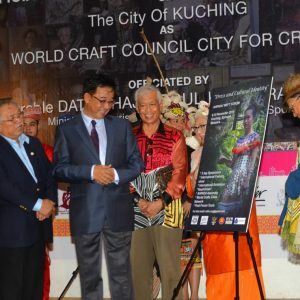 They have been selling Sarawak as tourism destination for Dutch market since 2004. 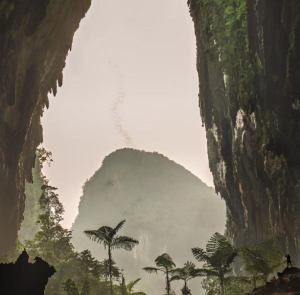 This familiarization trip was co-hosted by Borneo Adventure Kuching, Greatown Travel Sibu, Pullman Kuching, Hilton Kuching, Parkcity Everly Hotel Miri, Royal Mulu Resort and Mulu Park. This fam trip was crucial to prepare the company for the coming largest travel fair in the Netherlands “Vakantiebeurs” in January and the Belgium Tourism Fair in Antwerp sometime in February. 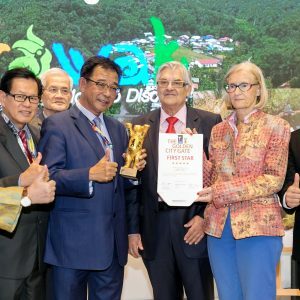 Whilst here the Sarawak Tourism Board organized and hosted a briefing to the tourism industry members on the Dutch Market by Mr Harrie Bouwmans. This briefing was a golden opportunity for industry members to understand the needs of the Dutch tourist and was definitely an eye-opener and encouragement to target the Dutch tourist. Present at the briefing was also Dato’ Rashid Khan, CEO of Sarawak Tourism Board, Mr Maurice Balang – Regional Marketing Manager (UK & Europe) together with STB’s marketing team. 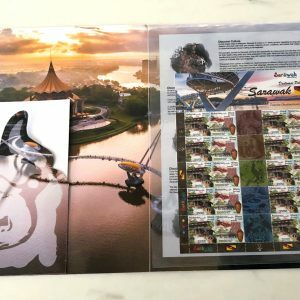 Earlier this year, STB have also given a marketing support to Malaysia Travel Service for their new brochure on Sarawak for Dutch market distributions. 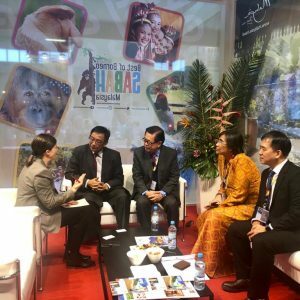 “We would maintain our support in hosting familiarization trip by European Agents as it is educational in nature and the participants benefit by being more knowledgeable and confidence when promoting Sarawak in their home country” says Mr Maurice Balang at the end of the session.